2/12/16: What an awesome day we had! Our Valentine's Day party was so much fun. Charlotte enjoyed passing out her valentines to each of the classmates. Great job! Can we please discuss this face?!?! Hahahahahaha! 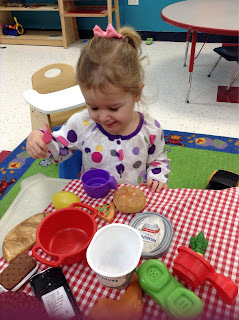 2/17/16: Charlotte did a fantastic job of counting our coins and had a great time making food for her “lunch”! 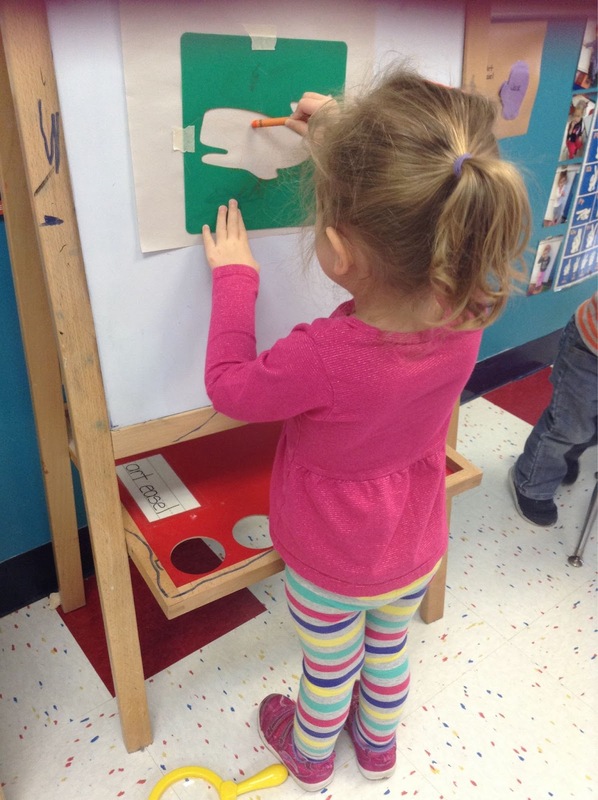 2/18/16: Charlotte had so much fun creating at the Art Easel today with paper and an ink pad. 2/19/16: What an awesome day we had. Since it was so nice out today, we thought we would play 'I Spy' outside. That was so much fun! 2/23/16: Charlotte loved talking on the phone today. We asked her who it was on the other end and she just smiled saying "mom and dad." 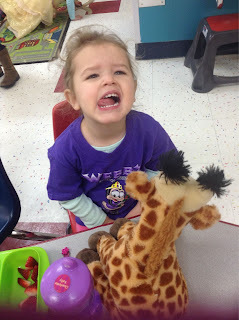 She also loved the mail she received. 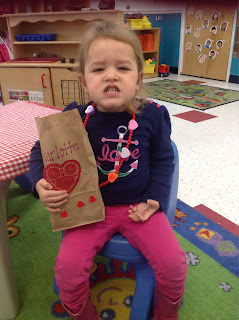 She was super excited about all of her cards! 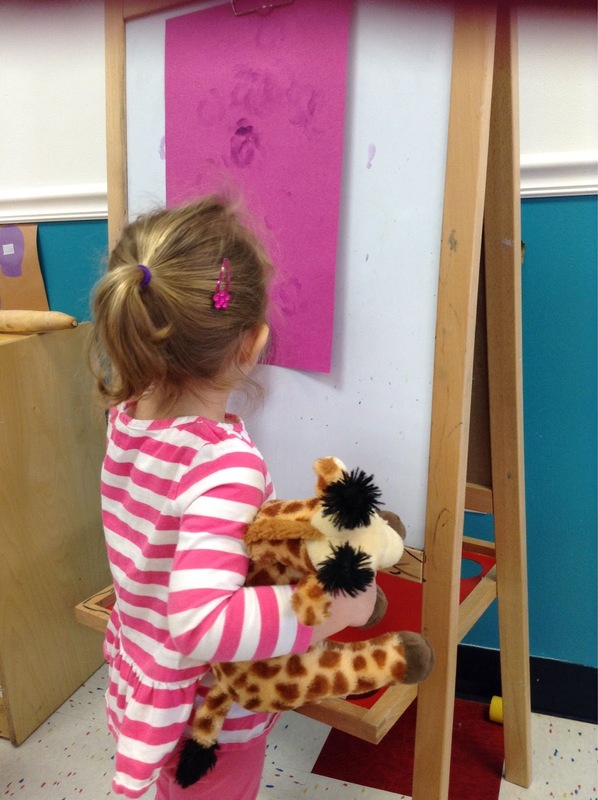 2/29/16: Charlotte did an awesome job using the stencil at the Art Easel today. Great job! 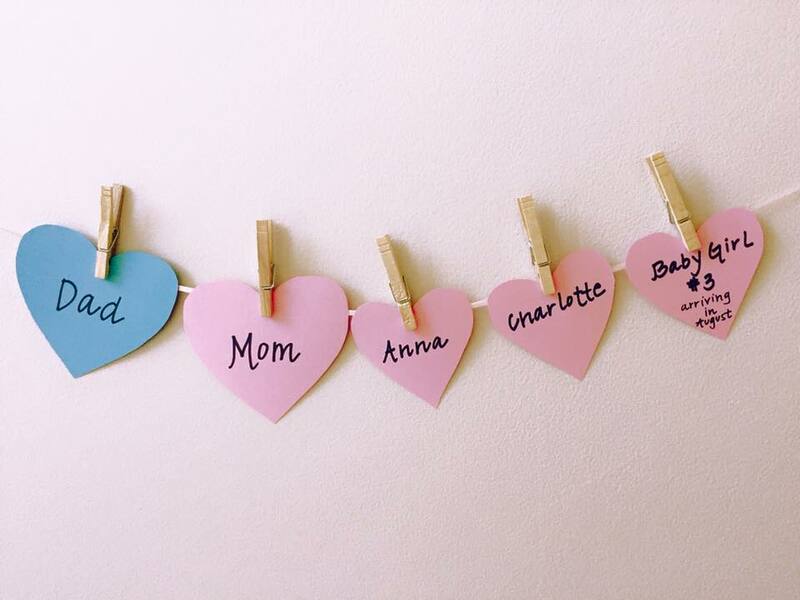 Our family is growing by one heart this year; baby GIRL Kelly will arrive at the end of August! If you've spent any time with me over the last couple of years you know that I've gone back and forth on a third ; at the end of each pregnancy and while I'm in the throws of nursing, you're destined to hear that "I'm DONE!" Then I tend to waiver. Then back again. Rinse and repeat. Mike's always "liked the idea" of a third, but also waffled. So, a few months ago we decided to see what nature and God had in store and were happy either way; if our family was complete with two happy and healthy girls we'd be happy; if our family was meant to have three children we'd be happy. God and nature quickly decided a third was in our destiny and because I'm considered Advanced Maternal Age (over 35) and because my eggs have seen their fair share of unnatural drugs, we opted in for the tests that look for any major issues, and also reveal the gender through bloodwork. And it revealed a HEALTHY baby girl! The first trimester has been about what you'd expect, but traditional morning sickness was replaced by a sinus and upper respiratory infection that won't go away, and fatigue. We're still in shock, not sure if we're totally equipped to parent three kiddos; but that's how we felt each time prior and we seem to be making it through OK : ) Bring on the PINK!! We can't wait to meet our little lady in a few months! This little girl loved seeing the snow fall and even wanted to eat her breakfast (with her friend Figaro, of course) one morning before school. Love her little heart (and I say this when it's not 6:30 in the morning, that definitely wasn't my tune at the time). 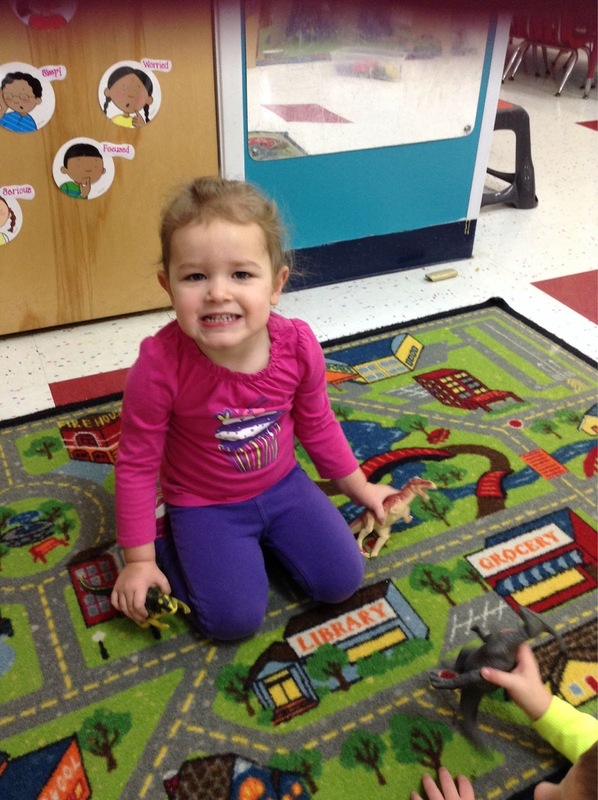 Of course playing outside later in the day is much more fun! Labels: Anna, Charlotte, Family, Fun Stuff, Snow!